As the world continues to revolve around the internet, many start to question the efficiency of locally installed tools versus internet-based applications. Traditional applications that are installed on the computer and help users perform different actions are considered by many reliable and thus those individuals are having a hard time converting to an online-only work process. This makes people have to choose between downloading a tool that manipulates pdf files and looking for an online pdf creator tool for example. There are many online services that do a great job of emulating or replacing traditional software, but how do people use them or react to them? 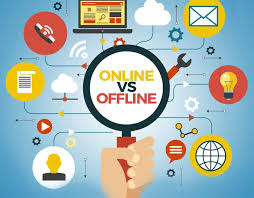 In this article, we will take a look at the different advantage and disadvantages of online and offline services or tools, to see why people prefer one or the other. People prefer using this method because it brings with it a certain level of certainty. What that means is that people feel more secure using offline services because they seem more secure and in contrast with online services which they comprehend as being risky to use. This is a pertinent concern although it’s not exactly the case because there are professional services made available online which come with protection and security/privacy features specifically so people would feel safe using them. Once on the internet, it’s out of your hands. This is an ideology that seems to resonate with people that prefer to stick with the offline method of using services. They believe that by working offline they are able to store their work or progress and more efficiently keep track of everything that they’ve done until a certain point. This is yet again a valid argument, as offline storage is isolated and in most cases not only more secure, even if theoretically, but also handier. Another point of view that makes people stick to offline tools is the fact that these tools can be linked together and used that way. Most programs come with compatibility or sharing options that allow users to take their work from one piece of software to another seamlessly when working offline. This can be an invaluable asset especially in time-sensitive work or work that requires the usage of a large number of services. 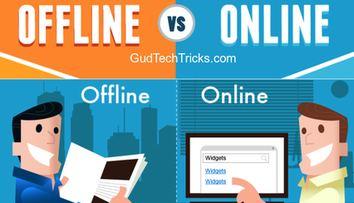 There is also a large number of people that prefer using these tools instead of traditional offline solutions. One of the reasons for this is that it is a direct platform online on which they can build. Most people that work on their computer end up submitting that work online on different platforms anyway. Having that work completed online can be valuable because it saves a lot of time and hassle because the end product is already online. Another feature that sways people towards the online medium is the interconnectivity people have with other users. This means that they can share, rate, communicate with other people and thus contribute or receive contributions to their work. If you are part of a team, this can also be a very important tool to have because it makes for a much more dynamic working process that gives better results.